In Trinidad, some 55 miles from the capital city Port of Spain, is the village of La Brea, which means 'tar of pitch' in Spanish. La Brea is famous for its pitch lake, which is the largest in the world. Local residents refer to this treasure as the Eighth Wonder of the World. 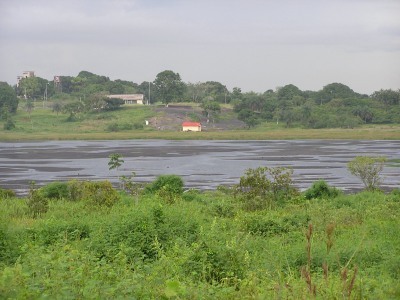 The Pitch Lake is one of three natural asphalt lakes in the world, the others being in California - the famous La Brea Tar Pit - and Venezuela. Pitch from La Brea is used to pave roads around the world. 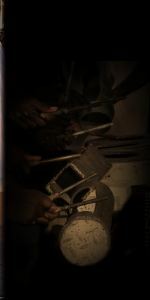 It quietly replenishes itself after quantities have been removed and has been estimated to contain reserves of six million to ten million tons, which at the present rate of extraction would last 400 years. In 1595, British pirate/explorer Sir Walter Raleigh came across the pitch lake and used tar from it to plug his leaking ships. The circular lake is approximately 100 acres (40 hectares) and 250 feet (75 metres) deep at the centre. Lush vegetation thrives around the lake. People occasionally swim in the waters of the pitch lake which some say is therapeutic because of the sulphur content. Sulphur is relatively harmless to humans but is toxic to other bacteria. Despite its remarkable qualities, residents shared their concerns about the declining number of visitors to the pitch lake. 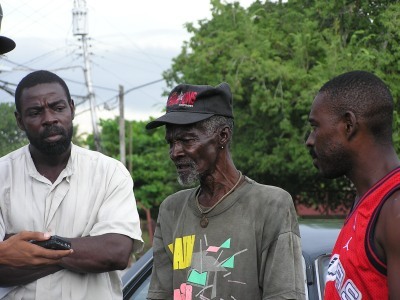 Prince Allen, an elder within the community, explained that in the 1950's and 1960's there were long lines of visitors to the pitch lake with many cars parked on its perimeter. However, the visitor flow has fallen to a trickle in recent times. Residents believe that an improved visitor flow to the pitch lake can boost economic activity in the area and provide employment for vendors, tour guides, taxi drivers and others within the community. These residents would like to see more done to promote the pitch lake as a worthy destination for local and international tourists. According to a legend of the indigenous Amerindian people, a village once existed in the area of the pitch lake, but after members killed some hummingbirds, which were considered sacred, the God became angry and the ground became soft swallowing the whole village. Areas in the vicinity of the lake are also extremely volatile as the ground surface moves because of the pitch content of the soil. 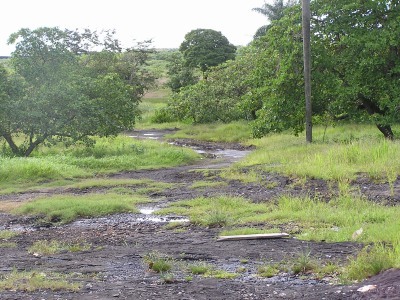 Underground belts of asphalt seep out from the depths, causing serious erosion problems to roads and buildings in the nearby town of La Brea. As a result, roads get very bumpy and the foundations of houses sink into the soil prompting many villagers to build wooden houses that can be propped up regularly as the legs sink into the surface.